News of the fiscal cliff seems to be everywhere at the moment. Fiscal cliff is the term given to the Bush era tax cuts that will expire and the spending cuts that will be triggered at the end of 2012 unless our government passes legislation otherwise. This would mean increased tax rates for income, capital gains, qualified dividends, and a lower estate tax exemption. Add to this the new taxes on income and capital gains for couples with incomes over $250,000 ($200,000 for individuals) from the Affordable Care Act (Obamacare) and the potential for higher taxes is significant. Why the hubbub? Of course no one likes to pay more taxes. The real problem is that most economists predict if we do “go over the cliff” the already weak recovery will revert to recession. Even if the politicians are successful at brokering a deal to avoid the fiscal cliff there is reason to believe that high earners will see a tax increase in 2013. Below are some strategies you should consider if you think we will go over the cliff and that everyone with income over $250,000 should consider even if they think the cliff will be avoided. Tax planning attempts to shift income into years you expect to be in low tax brackets and away from years when you expect to be in high tax brackets. If the fiscal cliff is breached marginal tax rates will be higher for everyone next year. Either way Obamacare will impose a 0.9% tax on income over $250,000 for joint filers ($200,000 for individuals) in 2013. The Cliff Strategy: Accelerate income in 2012. The corollary to income recognition is deduction planning. Deductions lower income. If taxes will be higher in 2013 it makes sense to delay planned donations to when the deductions will be worth more. But politicians are considering all revenue generating alternatives: higher taxes and limiting deductions for those with higher incomes. This could eliminate certain deductions and/or maximize the total amount of deductions allowed. This might mean that deductions made today are more valuable. The Cliff Strategy: Unclear. If you think total deductions will not be capped then delay gifting to 2013. If the Bush era tax cuts expire, the long term capital gains (LTCG) rate will increase from 15% to 20%. In addition starting in 2013 Obamacare will impose a 3.8% tax on the portion of income above $250,000 (for joint filers) from capital gains. For high earners the LTGC rate will be at least 18.8% and could be as much as 23.8%. Usually we sell investments with capital losses to offset gains and income. If rates rise, however, those losses will be more valuable in future years. Similarly we delay the realization of capital gains. If we think rates will rise, however, it could make sense to accelerate realization of gains before the end of 2012. If you have not yet converted to a Roth IRA now may be the time. The reason is simple: If tax rates are higher in 2013, the cost of converting may never be less than now. Roth conversions also reduce (partial conversions) or eliminate (full conversions) required minimum distributions (RMDs) which would be subject to higher rates in future years. The good news about Roth conversions is that they can be reversed up until October 15th of the following year. So if you convert assuming higher taxes and taxes do not rise, you can undo the conversion. The Cliff Strategy: Reconsider Roth conversions in light of potentially higher tax rates in future years. Through 2012 tax deductions are allowed for medical expenses that combine to more than 7.5% of adjusted gross income (AGI). Starting in 2013 the threshold for deductibility will increase to 10%. The Strategy (regardless of the Cliff): Accelerate medical expenses in 2012 if the 7.5% threshold can be reached. As an investment advisor the answer to “how much should I save” is always “more.” If tax rates rise in 2013 pretax savings such as 401(k)s and qualified IRAs will be even more valuable. And if increasing your pretax saving reduces your AGI below $250,000 ($200k for individuals), then you will avoid the new Obamacare taxes. The Cliff Strategy: Maximize pretax contribution to lower taxes and avoid additional taxes due to Obamacare. In 2012 estates that are $5.12 million or less can be bequeathed with no estate taxes. With proper planning couples can gift twice that, or $10.24 million. If we go over the cliff that amount will revert to $1 million ($2 million for couples). At its best tax planning is an inexact science. This year it is a downright nightmare because we have no idea what to prepare for. You may decide to do nothing or you may decide to take significant measures. Either way it is better to make these decisions through commission rather than omission. Please check with your advisors (accountants, estate planning attorneys, investment advisors, etc.) to determine the actions that make the most sense for you and your family. 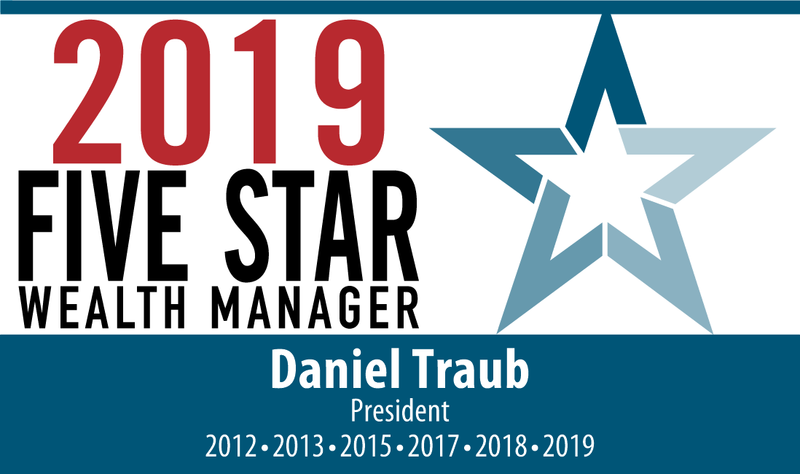 Daniel J. Traub is president of Tempo Financial Advisors, LLC and can be reached at dtraub@tempoadvisors.com.